Insect stings are common and are usually no more than a painful nuisance. However, for a small but significant proportion of the population the venom from the sting can trigger a severe allergic reaction. Insects usually only sting in defence and when they do a venom containing various proteins is injected into your skin via a stinger. How serious the reaction to the sting is depends on several factors but what is important to note is that you may experience an allergic reaction even if you have been stung before without one occurring. In fact you must have been exposed to the particular insect venom at least once before for the body to recognize and react to it. As the body produces highly specific antibodies to a particular venom the allergy will also be specific to this type of sting. Therefore it is not necessarily the case that someone allergic to wasps would be allergic to bees, and vice versa. Normal reaction – pain, swelling and redness around the site of the sting. Large local reaction – swelling extends beyond the site of the sting. 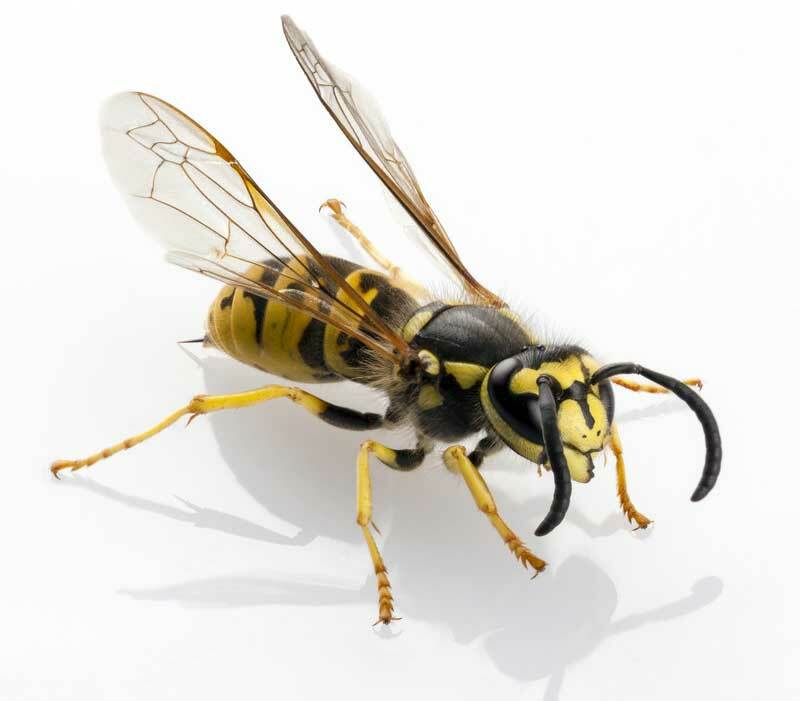 This may cause an entire limb to swell up and usually occurs 2 to 3 days after the sting. Mild systemic reaction – swelling and hives may occur in areas of the body some distance from the sting site. In younger children this usually does not mean anything but in older children and adults in is considered a risk factor for more serious future reactions. Severe systemic reaction (Anaphylaxis) – the body severely overreacts to the sting releasing chemicals into the blood which affect the whole body including the breathing and cardiovascular systems. In virtually all cases of anaphylaxis there will be some kind of skin symptoms such as flushing, itching or rash. Also in around 70% of cases there will be respiratory symptoms ranging from wheezing through to swelling of the throat. Swift treatment of these symptoms is essential and this is usually an injection of epinephrine (adrenaline), typically administered with an “Epi-pen” type device. Even if recovery seems complete immediate medical attention should be sought. For those who experience the symptoms of a mild systemic reaction it is important to see an allergist. This kind of reaction can be an indicator of future more severe reactions to the same type of insect sting. In fact this is true in over half of such episodes. In this case it is advised that the person carry two epinephrine (adrenaline) auto-injectors. Which Insects Cause Allergic Reactions? Can you have an allergy to swimming pool water? Is Yoghurt Good for Allergies? Allergies and Health Welcome to Allergies and Health, a comprehensive guide to all issues relating to allergies. The information provided on this website is well researched and we believe it to be accurate at the time of writing. However, it should be regarded as for educational purposes only and not as medical fact. If you do have any medical concerns or symptoms we do not recommend you use this website as a substitute for visiting an allergist, licensed physician or doctor.